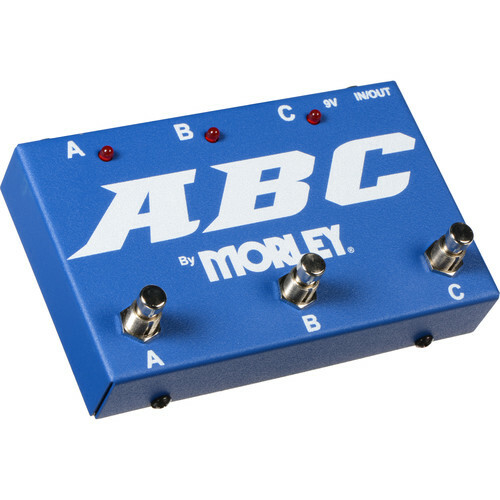 The Ebtech / Morley ABC Guitar Selector Combiner allows guitarists to route one guitar to three amps, or route three guitars to one amplifier. Easily combine or select as needed. The True Bypass circuit and passive design requires no power. One 9V battery (optional) is required for LED indication only. Route one guitar to three amplifiers. Select or combine amplifiers in any combination. Box Dimensions (LxWxH) 7.85 x 5.0 x 2.35"